“A 16x7-Segment LED Clock that syncs time from GPS satellites. 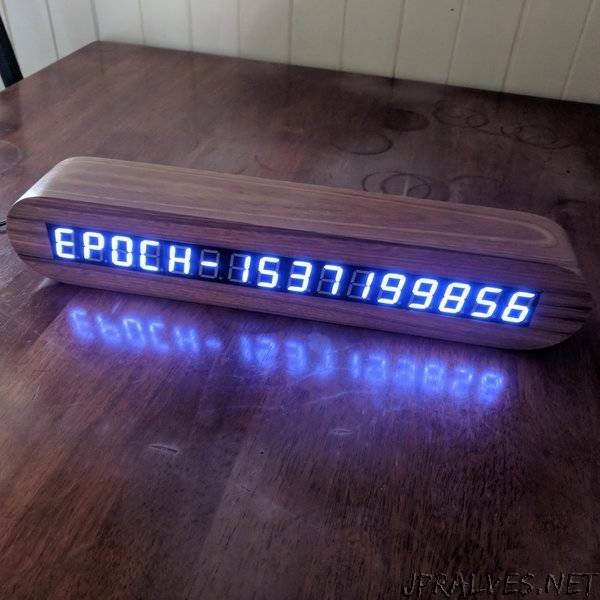 I read somewhere about UNIX Epoch time (https://en.wikipedia.org/wiki/Unix_time) and thought wouldn’t it be neat to have a clock that showed time in this format? This project developed from that idea.I had a dis-used GPS module with serial output so I thought it would also be cool to use that for syncing the time and thus avoiding setting the clock manually. - 16 digit 7-segment LED display. - Date/Time display EPOCH format (seconds elapsed since 1970-01-01). - Date/Time display ISO-8601 format ((YYYY.MM.DD.HH.MM.SS). - Adjustable brightness (setting retained with power-cycle). - Programmable UTC offset from -12hrs to +12hrs (setting retained with power-cycle).